I felt the jungle seep in around me, covering me in cobwebs and tentacles. My body dissolved into the biological matrix. It wasn't scary; I was coming home. A version of this article was published first on Positive News. 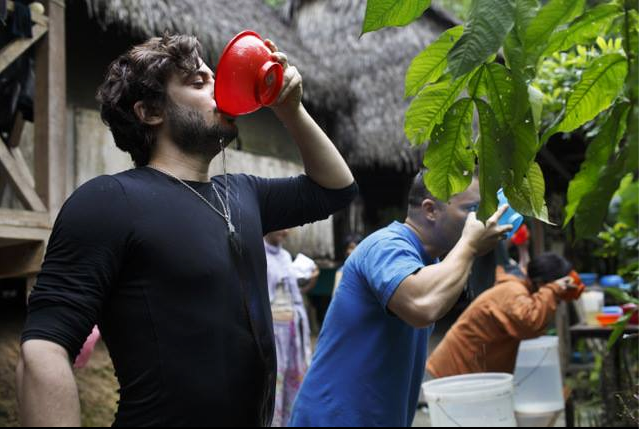 Ayahuasca, a sacred medicine system used for millennia by Amazonian tribes, is increasingly being imbibed by Westerners seeking help with intractable physical and psychological ailments. I visited the Temple of the Way of Light, a highly-regarded new healing centre near Iquitos, Peru and was excited to find that the burgeoning community there are not just motivated by individual wellness. They believe a powerful new means of protecting the Amazon, and potentially resetting human civilisation's maladjusted relationship with the natural world, is emerging from the symbiotic relationship between plants and humans. Ayahuasca is a powerful hallucinatory brew of a combination of plants and is used by indigenous peoples in the Amazon rainforest both for divinatory and healing purposes. 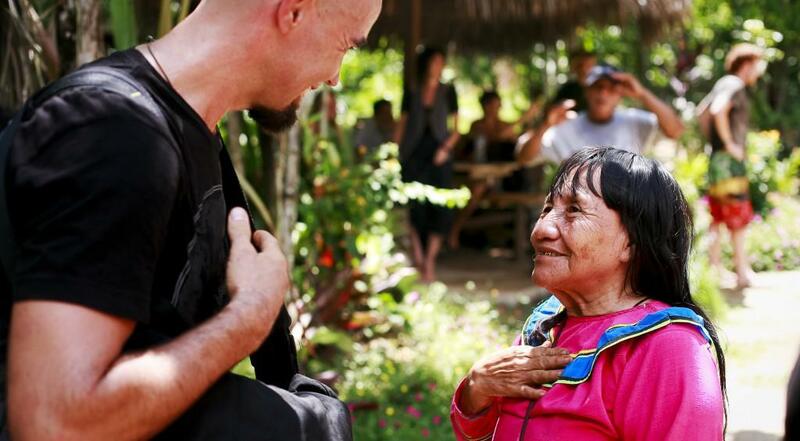 For them, “Mother Ayahuasca" is sacred and opens channels between plant spirits - each with their own Icaros (song) - and the human body and mind. These spirits want to clean and heal the human body and once invited in, they purge toxic dark energy (“demons”) - usually by vomiting. The experience is complex, unpredictable and sometimes terrifying. 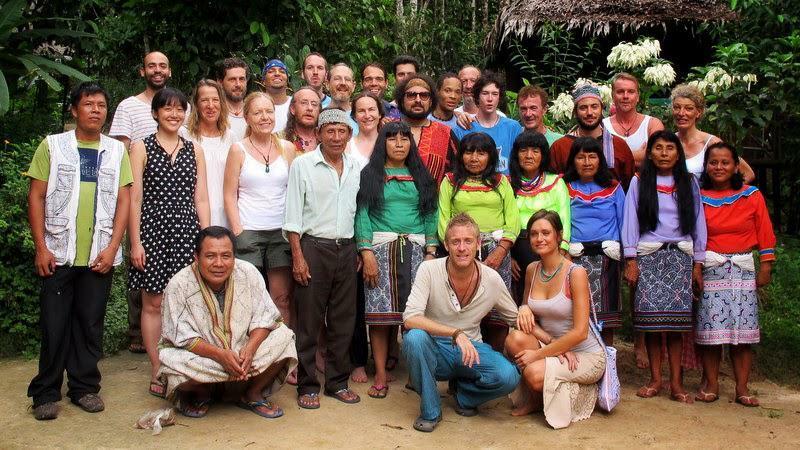 Bruce Parry famously imbibed Ayahuasca whilst his crew filmed the series ‘Amazon’ and then lay in agony on the floor wrestling with his ego. One’s identity can be literally torn apart. He has since reported much more positive experiences without a film camera present. And yet, everyone I had spoken to who had drunk the tea urged me to partake. Many Ayahuasca users report positive transformational experiences, and return from the Amazon with tales of being transported to parallel, supernatural dimensions where they interact with intelligent beings that help them to understand themselves, their lives and their purpose. The hallucinatory nature of the medicine means that it has been made illegal in the countries with the most advanced, scientific research institutes. For decades, conventional psychological advice has been that hallucinogens are risky and can destabilise the rational mind. 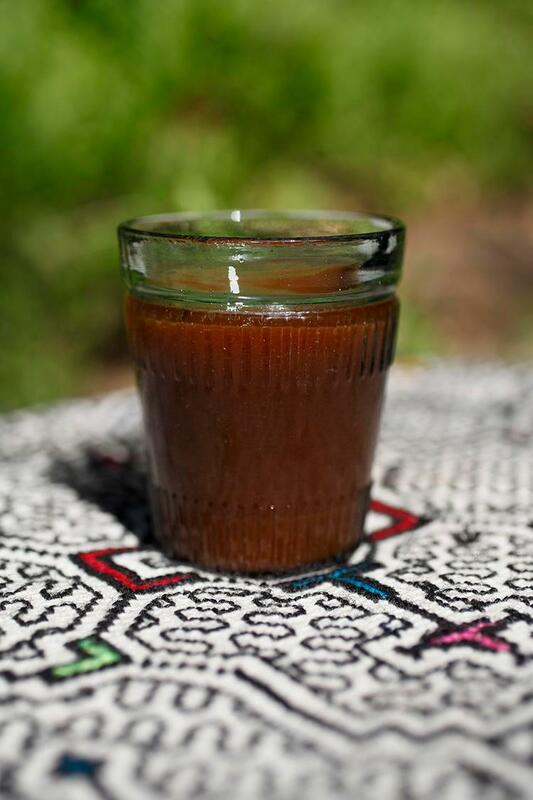 However, Ayahuasca’s anecdotally shared successes at treating ailments ranging from depression, anxiety and addictions through to chronic health issues as diverse as backache, gout and Parkinson's disease have encouraged an unconventional minority of afflicted persons to give it a try. Their gambit may prove to have been sound. New research from around the world, including a recent, large-scale Norwegian study has highlighted health benefits of using hallucinogens. Indeed, the Temple’s founder, Englishman Matthew Watherston had his life transformed after using the medicine to treat depression and cannabis addiction in 2007. More than 2000 people have now been treated at the centre but, tragically, the surrounding jungle is itself still under threat. Impoverished locals are forced to eke out a living through slash and burn agriculture that damages the landscape, while prospecting oil companies leave a devastating trail of destruction, pollution and disease in their wake. The community living around the Temple were compelled to respond and today two new organisations work from the growing campus. 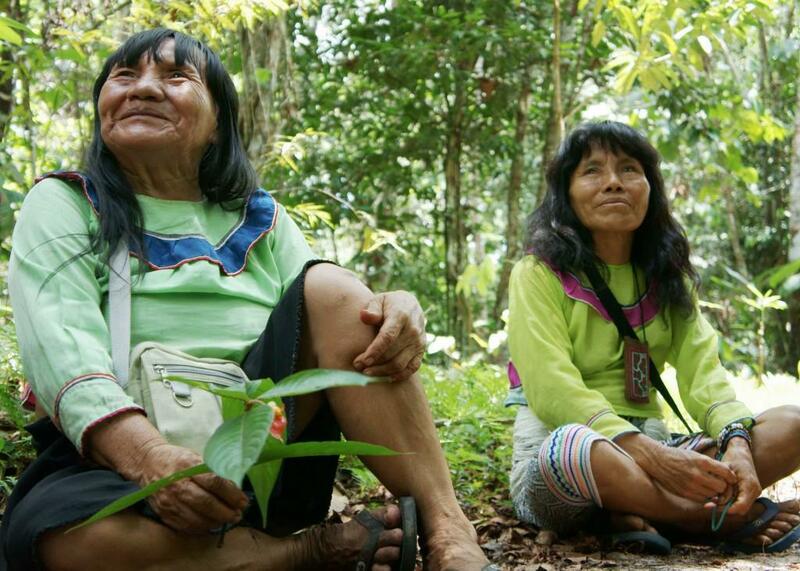 The Chaikuni Institute promotes ecological solutions and Allianz Arkana is fighting to protect indigenous interests. 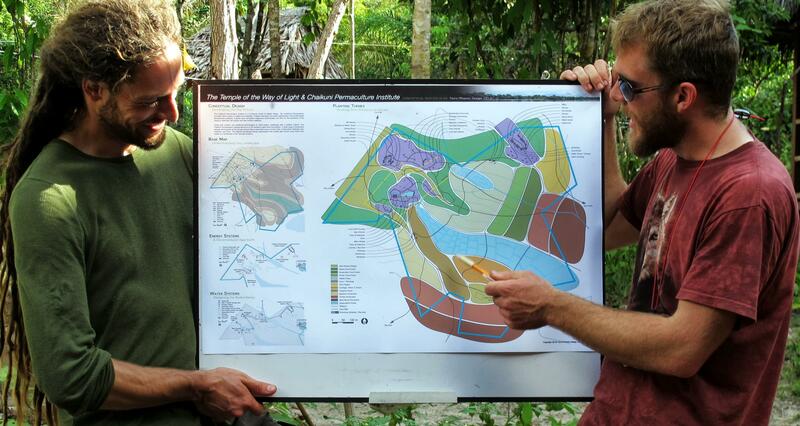 Wisely managed, a small area of thriving rainforest is crammed full of super foods, medicines and resources that offer myriad livelihood opportunities to local people if sustainably harvested. I was able to pick up tinctures of reishi mushrooms, large bags of maka powder and fantastic traditional garments cheaply, directly from the people making them. Magical treatments are literally growing on the trees - the challenge remains to demonstrate that much greater dividends are available by using the forest as a living resource rather than just cutting it down. But perhaps most intriguingly of all, is the possibility that Ayahuasca itself may have a role to play in the conservation of its habitat. Under its influence many users feel much closer to the web of life that perennially surrounds and nourishes us. More than that, in my group, many of us felt a deeply healing sense of connection to the planet. The plant spirits seemed to communicate a powerful message that Mother Nature wants humanity to change and that this can start with personal healing. Some at the centre felt strongly that the western world’s surging interest in Ayahuasca might have a role to play in healing our relationship with the natural world. A departure from “reality” might be a key to improving it. Participants in the 12-day retreat are pampered and treated with immense care - many may be hurting or distressed when they arrive. Guests stay in simple huts on stilts called Tambols. Mealtimes, meetings and ceremonies are held in large thatch roof Malocas, hammocks swing invitingly between trees. At night, residents huddle around lanterns enjoying the company of friends, the jungle and the gloriously un-interfered-with night sky. 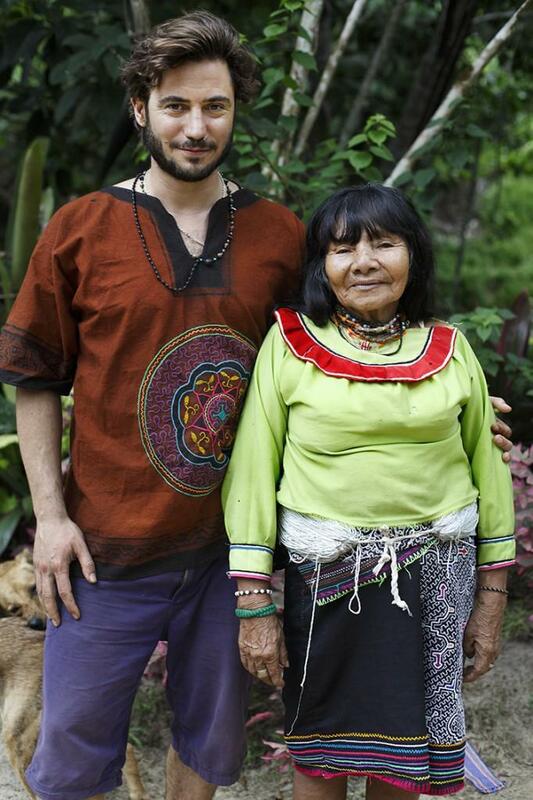 The retreat consists of 7 nights of Ayahuasca ceremonies, administered by shamans of the Shipibo tribe. It was exhilarating spending time with indigenous people whose cultural relationship with the forest has been ongoing for millennia. Over this period our diet would be heavily restricted, we would sleep very little and, of course, experience intense hallucinations often accompanied with vigorous purging. Taking the medicine is a humbling experience because we open ourselves to a process out of our control. Some in my group found the ceremonies dark, painful (both physically and emotionally) and scary. Intense past memories are relived in vivid detail. Clearly, in this sense it is not for everyone and no one should enter into it lightly. Drinking from that cup opens the door to the full gamut of repressed emotions and pain that may hide beneath our public personas. Those tentative first sips may toss a hand grenade into our personal narrative of who we are. If you are hiding something from yourself this is one (very intense) way of finding out. Personally, my experience of Ayahuasca, although challenging, was very positive. In the first ceremony, I had been feeling nauseous and was concerned the medicine might stay inside me. Suddenly I had a hot flush and knew my time had come. I knelt at the end of the mat, triumphantly grabbed my bowl and violently purged. As I did I felt various internal torments fly out. I rolled back onto the mat feeling lighter and much improved. Now it seemed the floodgates had been opened - not for visions, but for profound insights. Whatever my mind rested on I found a resolution. In subsequent ceremonies I felt I was given specific lessons; one on mindfulness, one on the limitations of words in understanding existence. Bright beings of light interacted with my consciousness and revealed things to me that whilst hard to articulate remain with me to this day. This was experiential learning from the inside out and an opening to dimensions to which I had previously not experienced. I was to return to England feeling exhilarated and refreshed. Meanwhile, outside the hut, nature's orchestra ebbed and swelled. Hoots, tweets, clicks and honks were occasionally outdone by utterly weird alien noises that emerged from nowhere and echoed inexplicably around the jungle. The sounds were an ever-present reminder that we are utterly immersed in the deep complexities of the living fabric that envelops the surface of planet earth. All around I imagined little eyes peering out of holes and crevices and from behind leaves and fallen logs. I saw slimy bodies crawling out of the dense decomposing matter that carpets the forest floor to bask in the moonlight and join in the nocturnal cacophony. All over, weird, wet creatures pulse, croak, live and die. We, of course, are no different. I felt the jungle seep in around me, covering me in cobwebs and tentacles. My body dissolved into the biological matrix. It wasn't scary; I was coming home. Many of us didn’t feel that we had planned our trips, but that they had happened as a result of a series of synchronous events. A participant, Ben, put it a different way: “Tentacles are reaching out from the Amazon jungle, they seek brave and willing participants for transformational information flow. They want to help people work through their personal pains, many of which are linked to shared crises of the modern age. They want us to become empowered to ease the pains and traumas afflicting the biosphere.” This is a new kind of symbiosis that can have miraculous results. The Amazon is calling; who will answer?